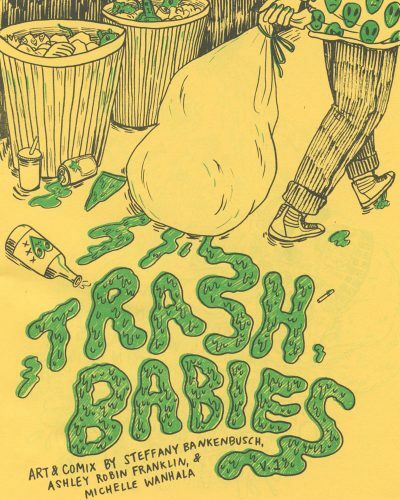 Category: minicomics. Genres: Autobiography & Memoir, Drama, Essays, Health & Wellness, Humor, LGBTQ, Romance, Young Adult. Concerning: anime and first kisses. 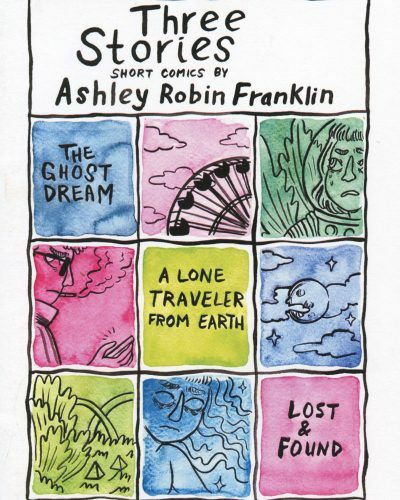 Like Like chronicles Ashley Robin Franklin’s romances from her adolescence. First crushes, online romance, first kisses at the anime convention, being fought over at the Renaissance Faire serious, tales of girlfriends and boyfriends. As she notes in her introduction, the stories are at times funny, cringey, tender, and maybe a little strange (though she insists always true). What isn’t really mentioned in the introduction is the level of care Ashley uses to tell her stories. Every story, whether it’s heartwarming or embarrassing is told with an openness and honesty and not an ounce of shame or guilt. 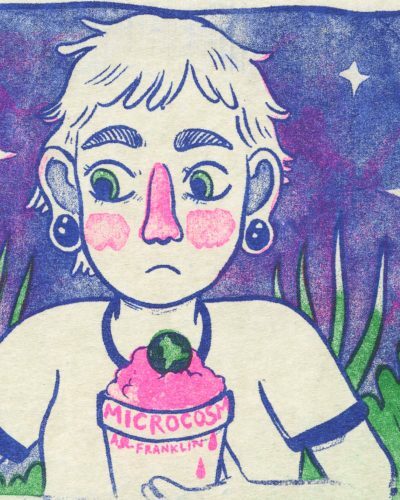 Looking at awkward pre-teen crushes and teenage romance without the stigma that we tend to carry with those early memories allows Ashley to reflect and enjoy these moments, and allows us to do the same with our own. 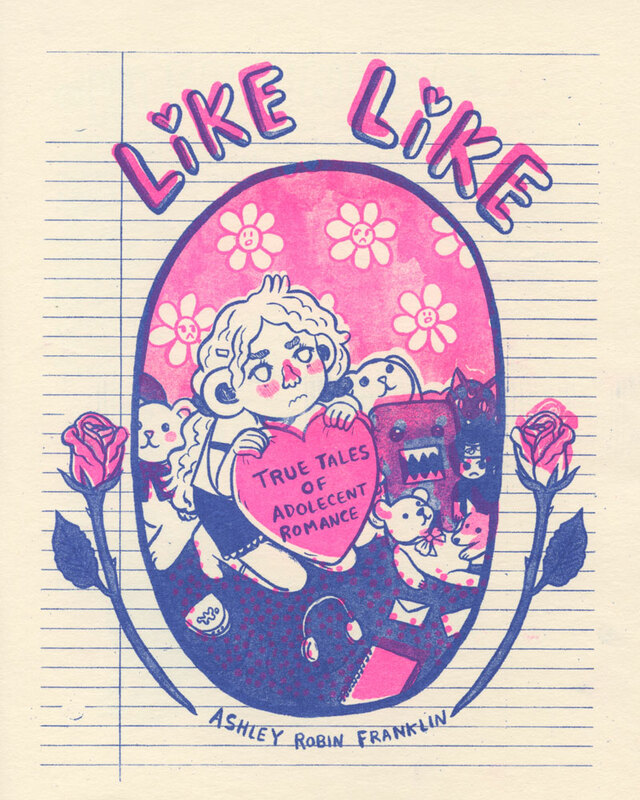 This comic could also be a great resource for younger readers, who may be going through these feelings and actions today, to see they’re not alone in these highs and lows of discovering romantic feelings and exploring their sexuality. Just in case that previous paragraph makes this comic out to be some after-school movie with a lesson to be taught, I assure you the comic is a ton of fun to read. 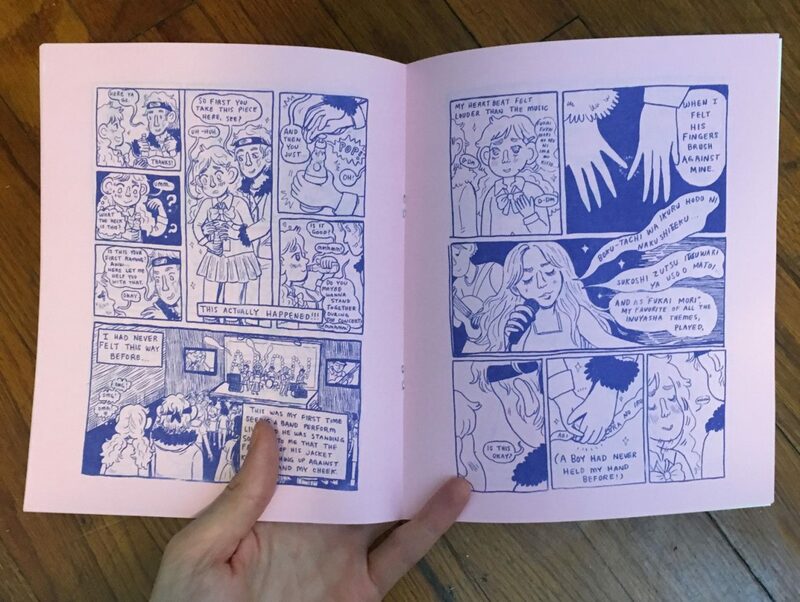 The drawings capture the energy of young love well, and the pacing of the comic is on point. 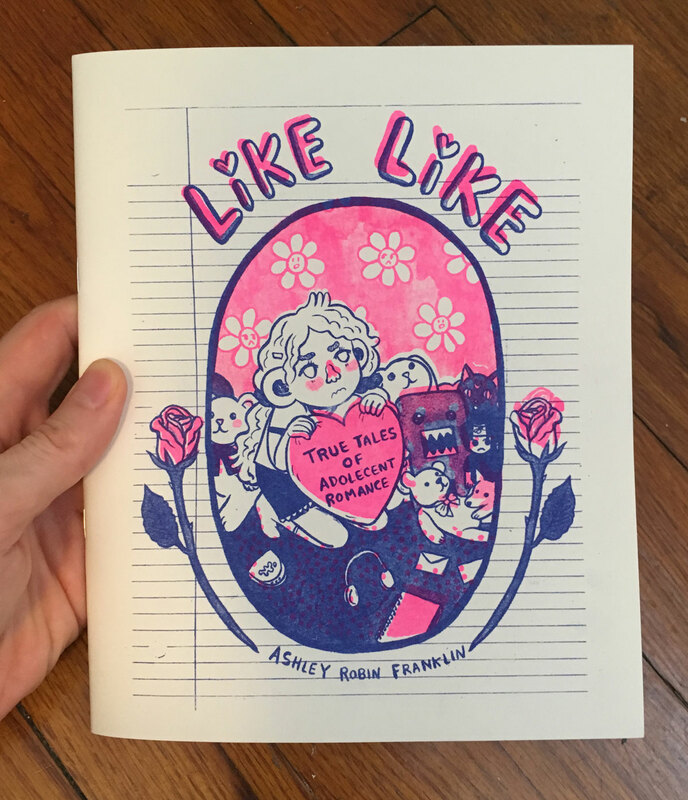 You’ll spend your time reading this substantial collection of short stories rooting for Ashley as she stumbles through her early love life. 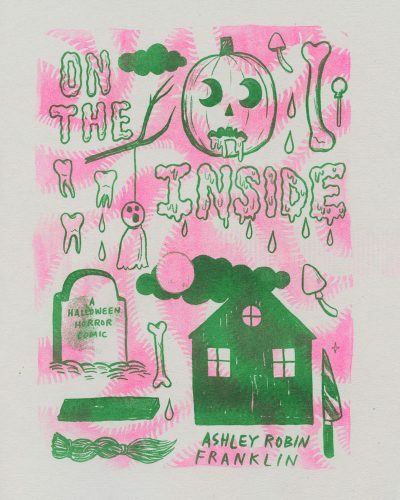 blue on pink paper interiors, 2-color cover, saddle stapled.